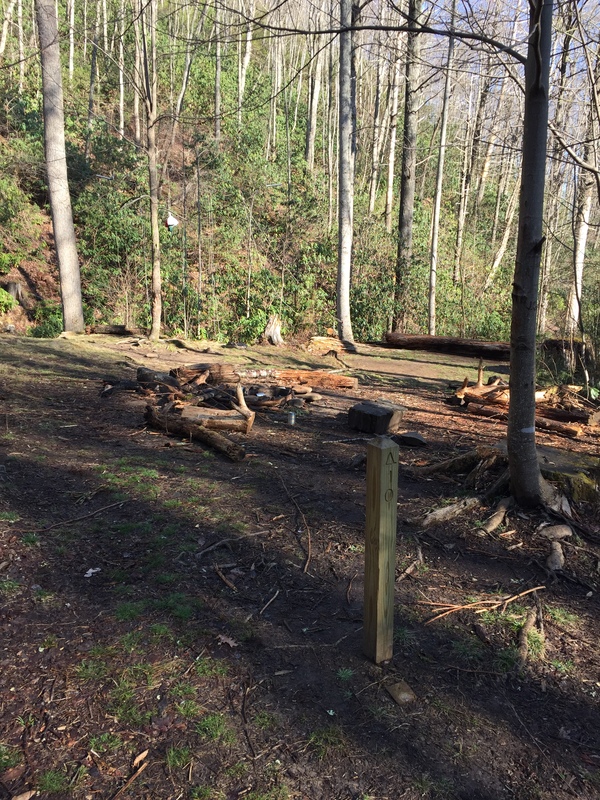 Russell Field Trail – Campsite #10 is 0.9 miles from the trailhead at Anthony Creek Trail and 2.6 miles from the intersection with the Appalachian Trail at Russell Filed Shelter. Water: Available from Left Prong Anthony Creek and from a side creek near the campsite. Campsite #10 is located right alongside the Russell Field Trail with the main fire ring only a few feet off the trail. The rhododendron growth offers some privacy but the site is generally not very secluded from the trail. There are a couple niche spots just big enough for a few tents but none of the areas are particularly level. The site may tend to be impacted with trash due to its close proximity to the Cades Cove area via the Anthony Creek Trail. This entry was posted in Campsites and tagged Campsite #10, Russell Field Trail on May 10, 2016 by blogginggazelle.